It’s been around a year since John O’Callaghan rolled out his first ‘Residents’ mix-comp. In that interim Subculture’s lodestar has again been 360-ing the world, bringing the sounds and sights of his brand of electronic music to clubs, arenas and festivals. Last month saw O’Callaghan’s return to the mix-comp platform for another journey into the culture of Subculture. Flanking him on this new outing are two new Residents, with John joined at the decks by the seasoned hands of John Askew and young-gun Standerwick. Collectively, they’ve put together three ‘Residents: Volume 2’ discs, each packed with music from some of the scene’s brightest. Among them, you’ll find tracks from artists like Ferry Corsten, Tiësto, Aly & Fila, Giuseppe Ottaviani, Sneijder & Bryan Kearney, as well as the likes of John 00 Fleming, Simon Patterson and Sean Tyas. With the other ear very much cocked to the underground, 2015’s Residents’ also line up much from more emergent producers. Over the course of its 240 minute ride, music from 2.0-ers like Akira Kayosa, Bjorn Akesson, Chris Metcalfe, Alex Di Stefano, Aimoon, Harmonic Rush, Solis & Sean Truby and dozens of others are just as quick to the mix. 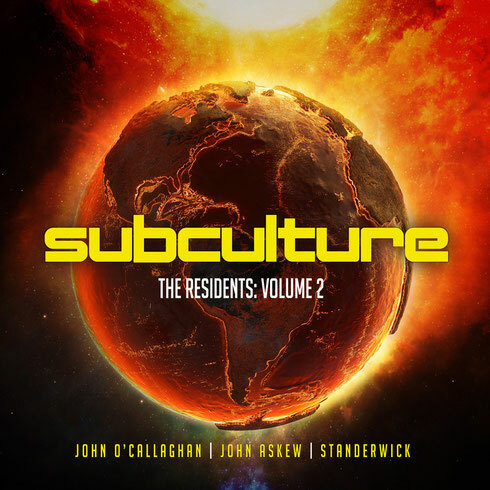 ‘Subculture – The Residents 2’ is out now.